The State Museum of the State Cultural Centre hosted the meeting on the theme “Museum Values and Cultural Relations”, which was organized by the Ministry of Culture of our country and dedicated to archaeological exhibition “Margiana – the Kingdom of the Bronze Age on the territory of Turkmenistan” held in Germany. Managers and specialists of the Museum of Pre-historical Period and Early History, which is the member of Association of Berlin state museums, Manheim Reiss-Engelhorn-Museum Complex, Hamburg Archaeological Museum, scientific personnel of German Universities and other who came to our country took part in the meeting. The participants highlighted that our country expands comprehensive cooperation with foreign countries including in humanitarian sphere and exhibition “Margiana – the Kingdom of the Bronze Age on the territory of Turkmenistan” became an important event in discovery of new pages of the chronicle of human civilization by European people while being a bright example of efficient Turkmen – German partnership. It was mentioned at the meeting that this exhibition has already been held in Berlin New Museum, Hamburg Archaeological Museum and has started in Manheim Reiss-Engelhorn-Museum on March 9. Deputies of the Bundestag, heads of German museums, representatives of scientific circles, public organizations and companies took part in the opening ceremony. The exposition includes 220 rare items from three museums of our country the State Museum of the State Cultural Centre, Local History Museum of Mary Velayat and the Museum of Visual Arts. Exhibition “Margiana – the Kingdom of the Bronze Age on the territory of Turkmenistan” gives an opportunity to make a trip to the history of ancient country. Margiana is a landscape in the southeast of our country, which used to be the entre of highly developed culture of the bronze Age around 4,000 years ago. Even though it existed in the same period with Mesopotamian and Egyptian civilizations, it remained relatively unknown until recent time. large-scale exposition demonstrates the phenomenon of Ancient Margiana, which takes a unique place in the history of the East. The exhibition in Berlin New Museum was visited by 385,000 people, in Hamburg Archaeological Museum by 8,230 people and it can be said with confidence that the exhibition would have success in Manheim with its population of 300,000 people, the participants of the meeting highlighted. The participants of the meeting recalled warmly Victor Sarianidi who revealed unknown Margiana to the world, having discovered numerous art and household items of this ancient civilization at the excavations. These unique findings are the majority of the exposition in Germany. President Gurbanguly Berdimuhamedov said in one of his speeches that many people know the name of Sairanidi who worked selflessly for sixty years in Turkmenistan opening new pages of our distant past. He had a great respect of ordinary people and was recognized by the state, which regularly appreciated his merits with high state awards. The archaeology is one of the most promising sciences in our country with real success and huge field for activity for new generations of keen explorers. That is why, the knowledge and experience, which are handed over by such outstanding people as Victor Sarianidi to their students, are so important. The main directions of humanitarian cooperation between Turkmenistan and Germany have been discussed at the meeting. It was mentioned that artefacts presented at the exhibition have great art value. Studying these items, foreign scientists elaborate various theories regarding the meaning of ancient art articles, however, the quality of this work can be achieved only by close cooperation with Turkmen specialists. In this regard, the participants shared the visions on further improvement of informational exchange, mutual visits of scientific personnel delegations. Margiana is a lullaby of the great civilization and it can be stated with confidence that the culture that appeared in this place had great influence on the development of culture of the nations both in the East and the West, the guests of Turkmen capital highlighted. Turkmen specialists made proposal on study of the artefacts from Margiana by high technology equipment, which is used by museum specialists of Germany and France these days. The laboratories of these countries have the capabilities to study different materials and to find out the age of the artefacts precisely. 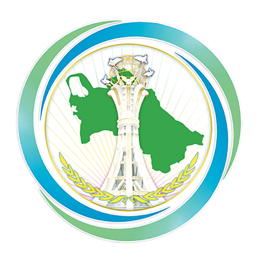 Having expressed the hope that cooperation in this direction between Turkmenistan and Germany would be developed actively, the participants of the meeting noted that such work would accelerate new scientific studies and specialized publications about Margiana, which would make significant effect on historical science in global scale. Improvement of museum work and development of cultural sphere in our country would support the expansion of bilateral cooperation in the sphere of study of ancient artefacts that present huge interest for scientists from all over the world. During the visit to Turkmenistan, German delegation also had a working meeting with the heads of national museums, where further development of cooperation between specialists of two countries has been discussed. According to the programme of the visit, the guests will conduct a seminar in Turkmen State Institute of Culture for students of high and specialized educational institutes of the country who study museum work as well as for teachers and museum personnel. The cultural programme provides the visit to the Museum of Visual Arts, National Museum of Turkmen Carpet, Local History Museum of Dashoguz Velayat, monuments located in Kunyaurgench Historical and Cultural Reserve, Seyit Jemaleddin Mosque and Old Nisa Historical and Cultural Reserve.